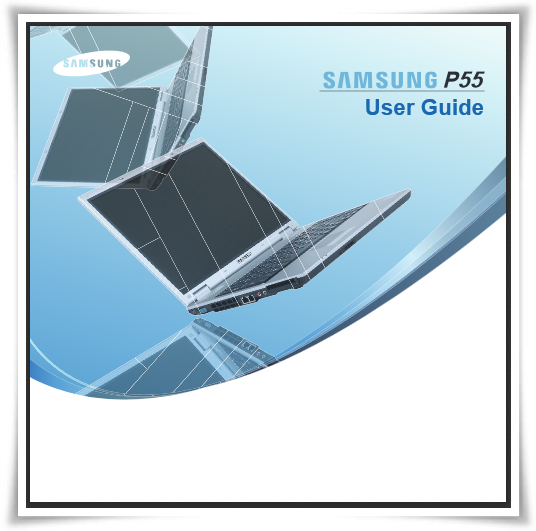 The Samsung P55 Manual aka user guide has been published by samsung offcial website or you can download on this blog.The Samsung P55 is powered by Intel Core™2 Duo processor. This laptop equipped with DDR II memory and support for connectivity Wireless LAN and bluetooth. The Samsung P55 User Manual consist of 172 Page(s). It's support in english language. In the manual you can find information such as notebook part overview, using keyboar, touchpad, cd drive, Using the PC Card Slot, Connecting a Monitor / TV, Windows XP Screen Layout, Connecting to Wireless LAN, Using Samsung Network Manager, Bluetooth Software Setup, and Infrared Communication. Then about BIos Setup, Setting a Boot Password, Installing/Removing the Battery, Using the Security Lock Port, Using McAfee SecurityCenter, Installing drivers and programs, Questions and Answers (troubleshooting), and more.